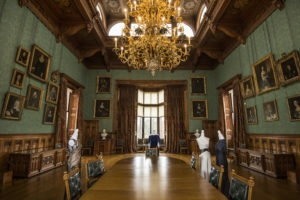 The theme for this year’s public opening will be on the Derby Women, featuring historical portraits of female members of the Stanley family from the 18th and 19th centuries, as well as depicting women who married into the family. Alongside beautiful portraits by artists such as Reynolds, Haytley and Romney, there will be displayed a fine depiction by John Hoppner of Eliza Farren, the famous Georgian comic actress, who married the 12th Earl of Derby as his second wife. Two other outstanding portraits will be on display, painted by the celebrated Regency society artist Sir Thomas Lawrence, showing Charlotte, wife of the 13th Earl, in addition to one depicting his sister Charlotte, who married into the local Hornby family. 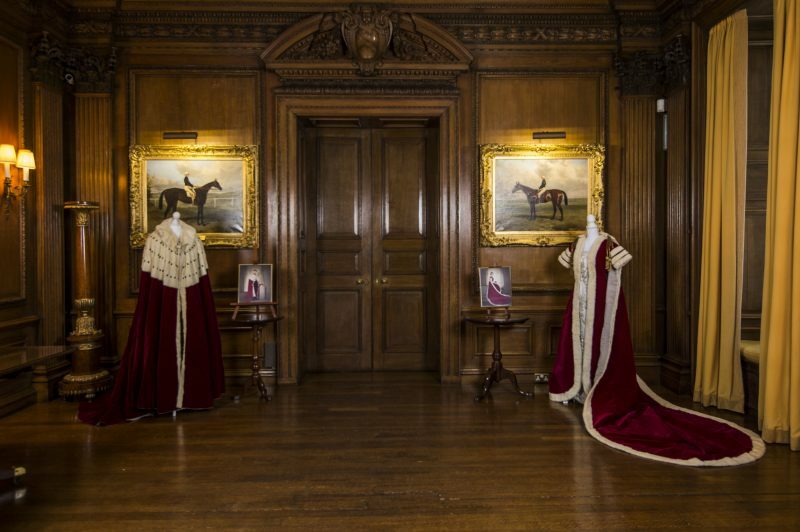 Alongside this gathering of portraits, throughout the State Rooms of the Hall there will be a special series of curated presentations of both historical dresses from the Derby Collection, and also of dresses commissioned by Lady Derby herself from the designer Ulrich Engler. 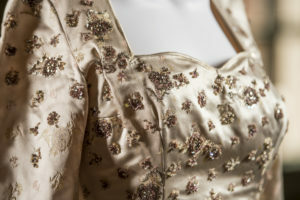 The historic items will include the robes worn by the late Lord and Lady Derby at the coronation of Queen Elizabeth II at Westminster Abbey in 1953, as well as the late Lady Derby’s wedding dress from her marriage in 1949. The Countess of Derby’s dresses on show will include her own wedding dress from 1995, as well as a series of haute couture outfits designed for her over the last twenty-five years by Ulrich Engler. Trained in Dusseldorf and inspired by Balenciaga. Engler moved to London where he worked for leading fashion designers such as Anouska Hempel and Victor Edelstein before forming his own couture house in 1991. 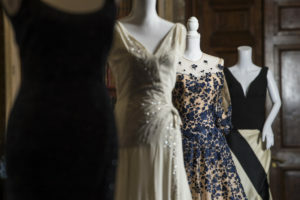 This show, which is the first of its kind, will offer interested visitors and fashion aficionados a unique glimpse into the lives and worlds of the Countess of Derby over the last seventy years.